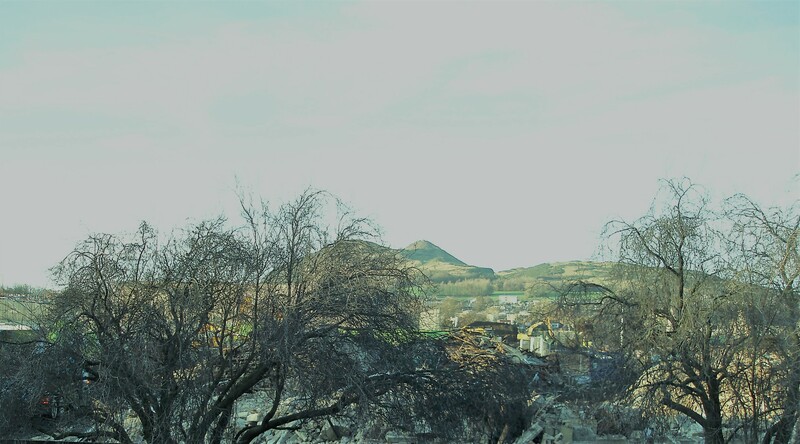 The pile to the left is the top soil retained from the west side of the site, the rubble to the right is about a quarter of the old building – the rest is away. The metal in the middle – mystery? 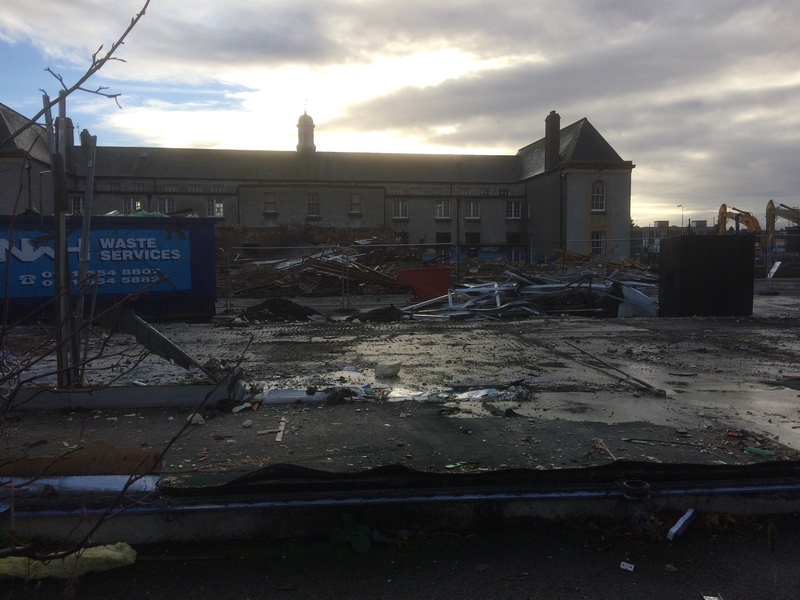 There is still rubble on the site of Treverlen Park but at the current rate of working that could be gone by 18 January. Meanwhile, the paths across the park are being marked out and the top soil is spread. So from some angles it really does look like a park. The next big task is the construction of the drainage channels, called swales in the trade, which will bring the water to a SUDS pond in the corner where the nursery used to be. The pond is expected to be dry most of the time – it is basically a soak away – but will have an overflow to the street drain. The construction of that will mean closing, in whole or part, the corner of Hamilton Drive and Hamilton Terrace to take a pipe round to the main drain in the Drive. 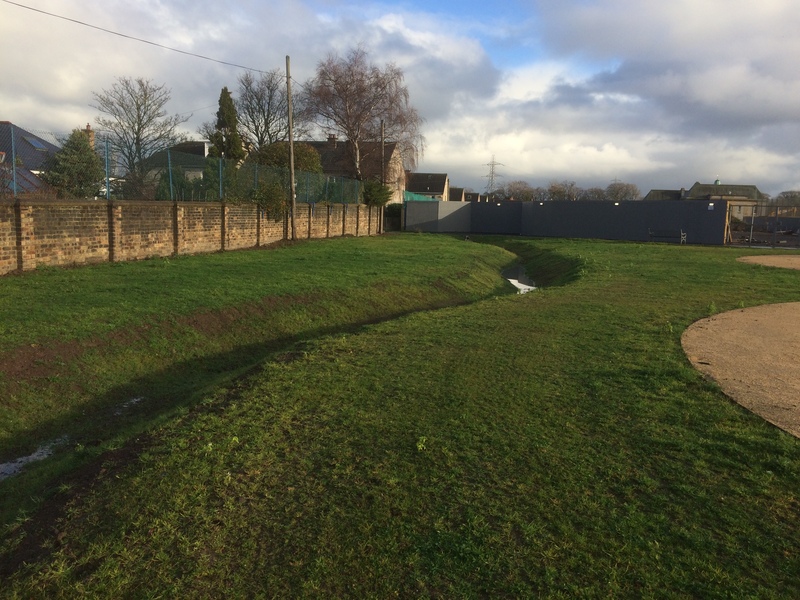 Water management is an issue here as some houses in Hamilton Drive and Hamilton Terrace have had flooding in the past – removing the hard surfacing the park should reduce the flows off the site. The demolition of the old building has been going on for some weeks; the inside was emptied of all wood, floorboards, ceilings, fibreglass insulation, metal. Like a chrysalis all seemed quiet but much was going on inside. 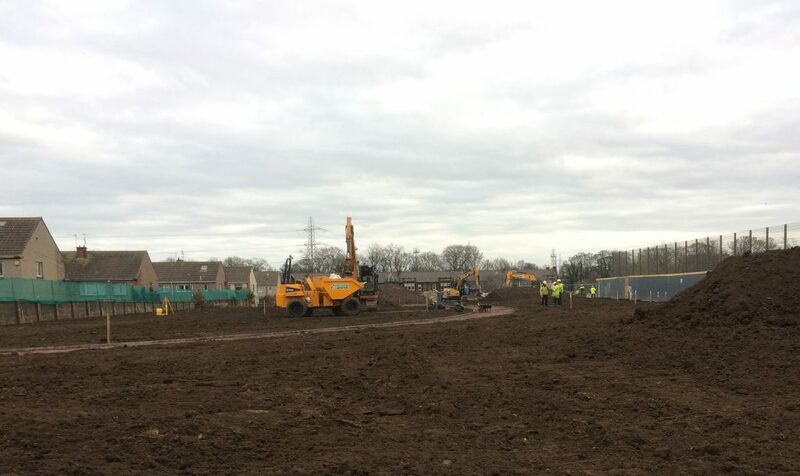 The soil for the park was moved across the site and formed a new ziggurat in the south playground and others have been built across the site. 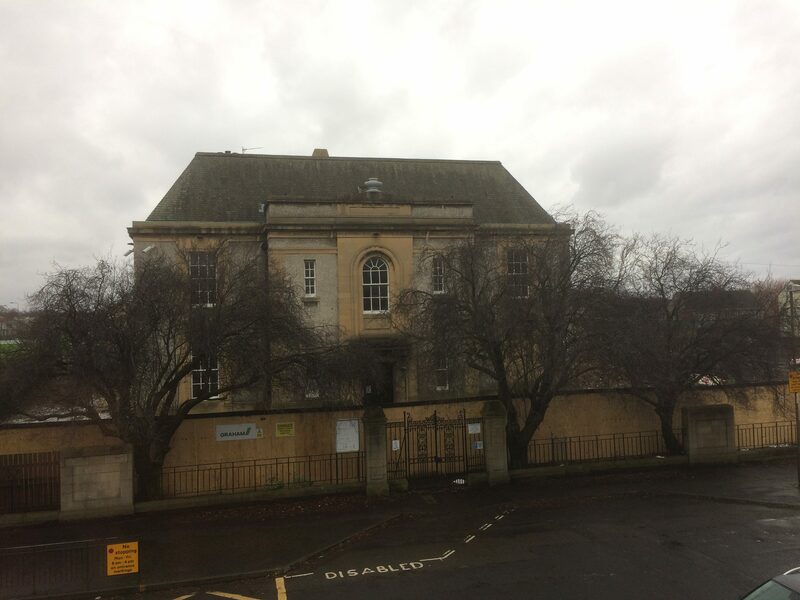 On Sunday 16 December it was revealed that a private company, limited by guarantee, had been established on 12 December and had immediately applied to the City of Edinburgh Council to have the school building transferred into its ownership at nil cost, under Part 5 of the Community Empowerment (Scotland) Act 2015. The Association of the Friends of St John’s wanted the building to use for arts purposes. On Friday 14 December, the Council refused the application. It was not clear how this would be resolved. The Association said it would appeal against the refusal. 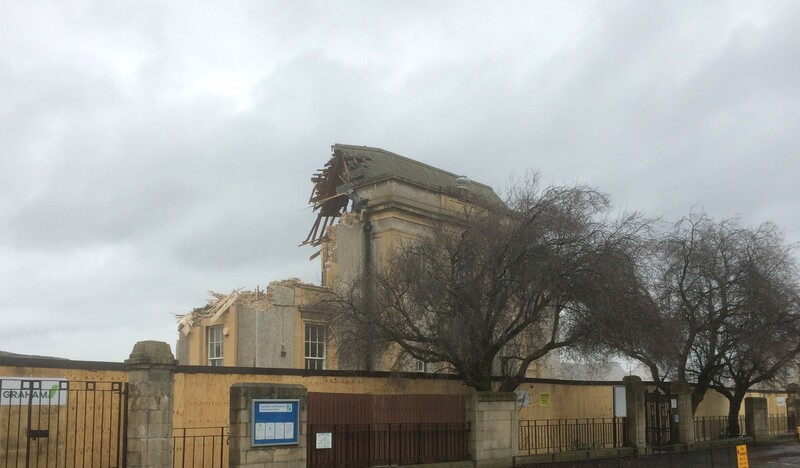 Its own application reports an estimate that the building would cost £2,345,000 to put into usable condition. The Association intended to raise this sum from various charitable and philanthropic bodies, although it was not itself a charitable body. Then late morning on 17 December the west wing was attacked by a picker and within minutes the walls fell taking the roof with them. Work continued to 6pm, under floodlights with the west wing gone completely. The next morning the first bay of 3 windows fell, quite early and at 9.45 the base of the weather vane lurched and fell. The School Master weathervane had been rescued the previous week. Midday came and the central block descended. The building seemed so fragile – indeed, it may be a relief that such an easily-demolished building is no longer in use as a public place. 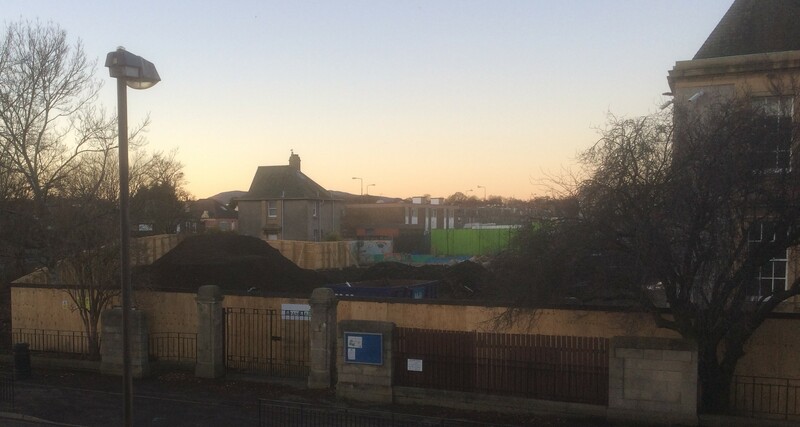 Demolition was completed at 5.00pm on 18 December. The ground floor windows are out, the ground floor is completely stripped of wood, metal, pipes and wires and the upper floor is well on the way to being ready for the big machines to do their best. The gym/hall came down in two minutes a couple of weeks ago, The shell remains surrounded by clear hints of the park to come – mounds of soil moved from further west on the site to enable the park work to proceed. 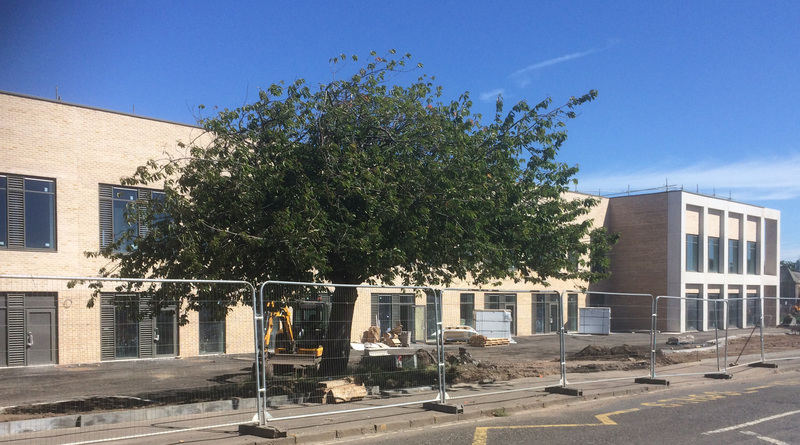 A building that is 90 years old accumulates history and passion but already the school has grown into its new home and thrives in its new building – new cherry trees in last week. The old building has done its job and the earth has moved on. The planning application for Treverlen Park was approved on 27 March 2018 – with 37 comments, 2 neutral, 8 objections and 27 supportive. 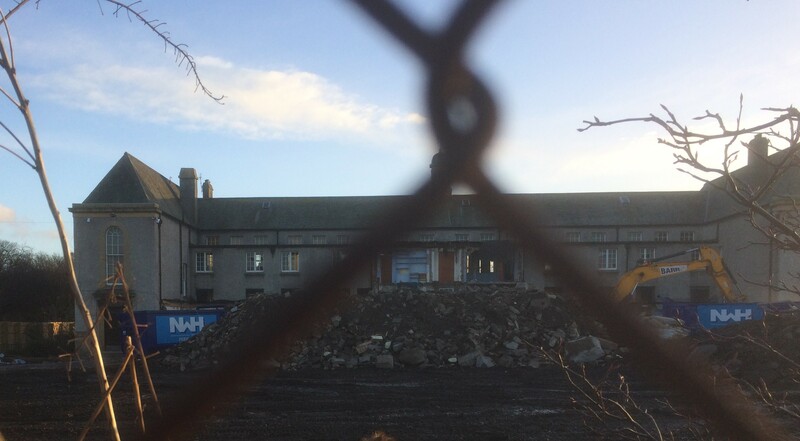 No fuss, just an acceptance that this was the final act in the formal progress to replace Portobello High School. So it was a surprise when a year after the planning application was published a new campaign was launched to retain the old St John’s building. The justification was twofold: the surfacing of new information and the need to provide studios, in face of the possible closure of St Margaret’s House. 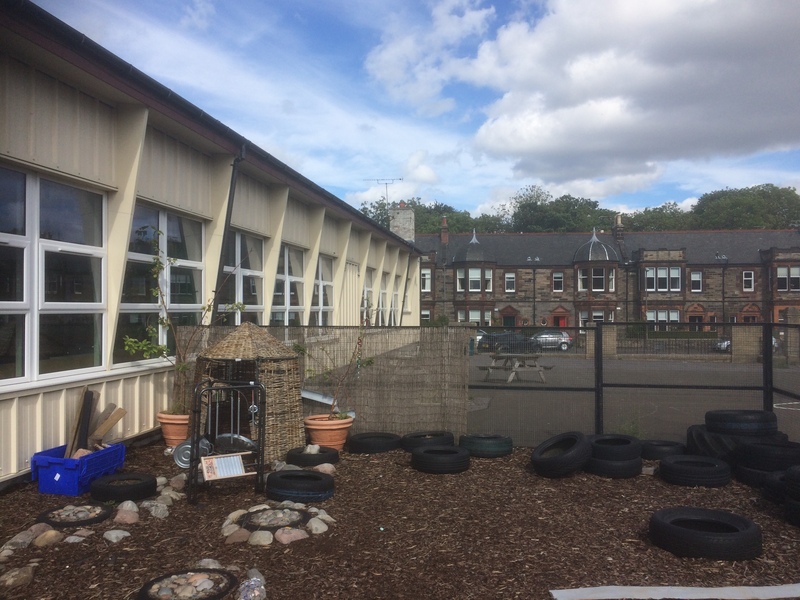 The new information is the material published on this site showing that old St John’s was the first school built by Edinburgh Education Authority after the Roman Catholic Church ceased be able to provide adequate education for Roman Catholic children from its own resources. UK legislation provided funding for this purpose. St Margaret’s House has provided studios and other facilities in a large former government office block , run by Edinburgh Palette. Edinburgh Palette is always on the look out for such premises and is moving into a former Council yard next to Portobello Golf Course as well as other sites across the city. Planning approvals for St Margaret’s House redevelopment have been in place for over 8 years. 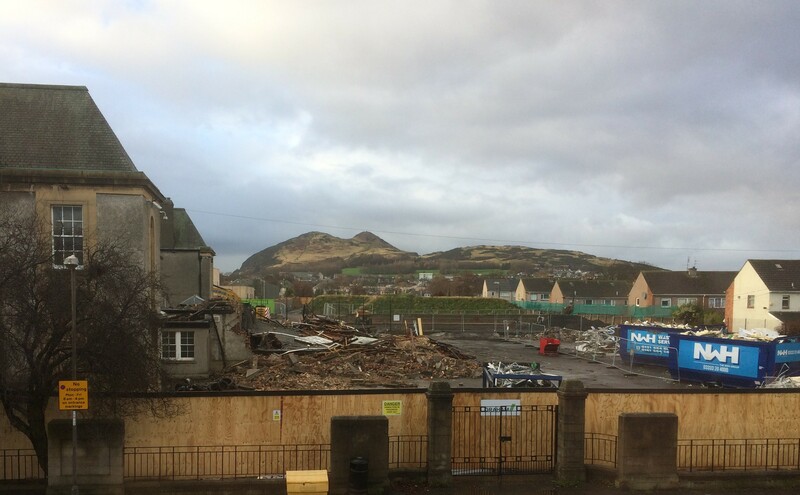 Finally, a respected pillar of Scottish artistic life, Richard Demarco CBE, has supported the stopping of the demolition in order to provide a possible home for his archive. 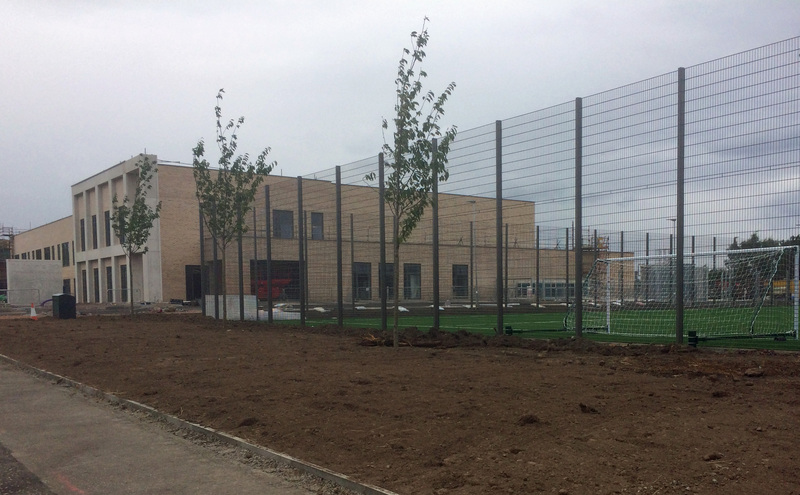 The City of Edinburgh Council remained committed to replacing the open space used to build the new Portobello High School, with a new park, in Treverlen. It refused to halt the demolition. Meanwhile the first phase of the park is maturing. The swales (ditches) will catch the water and safely enable it to be re-absorbed by the ground locally. 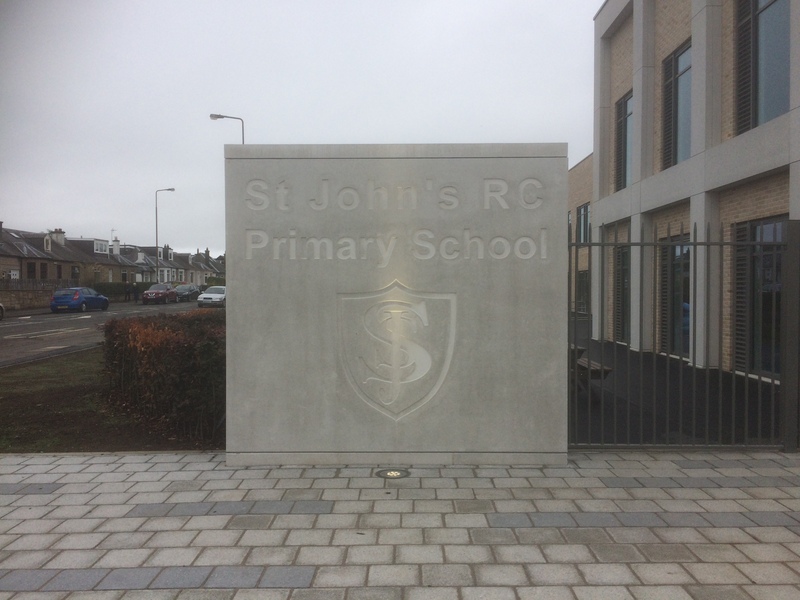 The new building for St John’s Primary School opened at 8.50am on Monday 20 August 2018 as planned. A bright morning and a great air of calm. 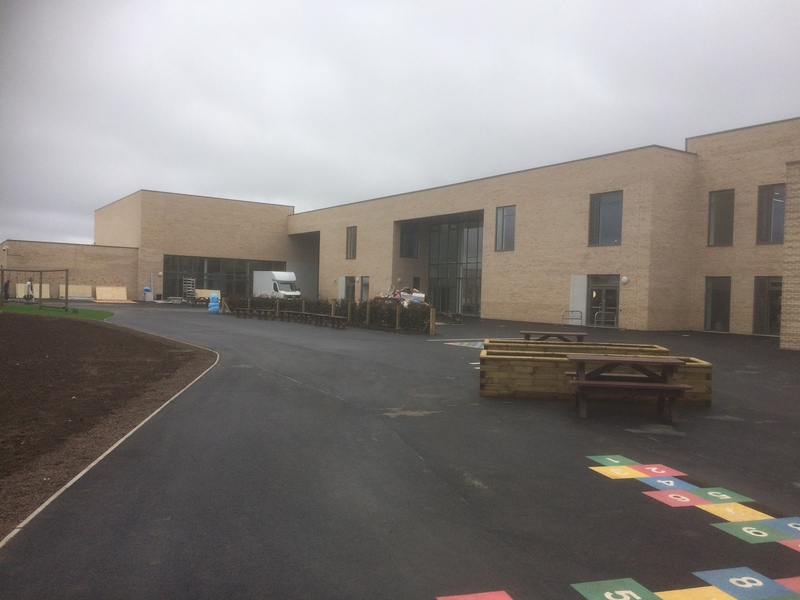 The entrance for pupils is from the playground behind the school so the milling crowds that used to gather at the old school are now away from the roads. 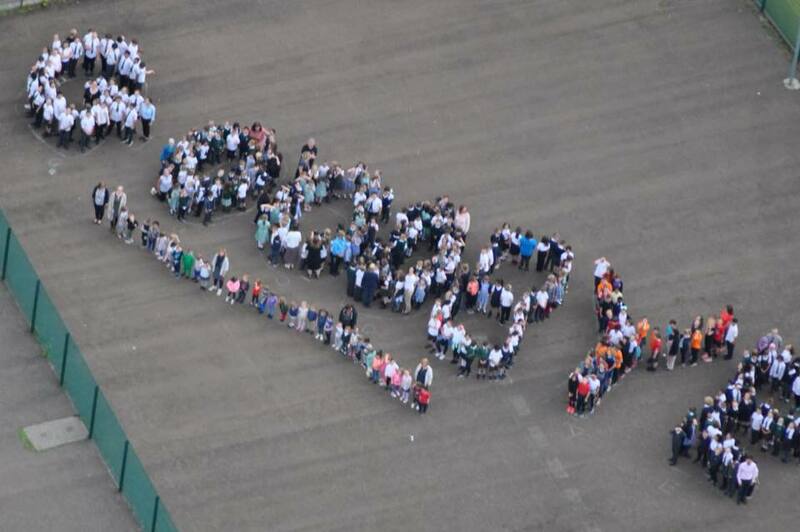 Streams of children were photographed by the huge new school sign. The traffic was much more dignified than expected. 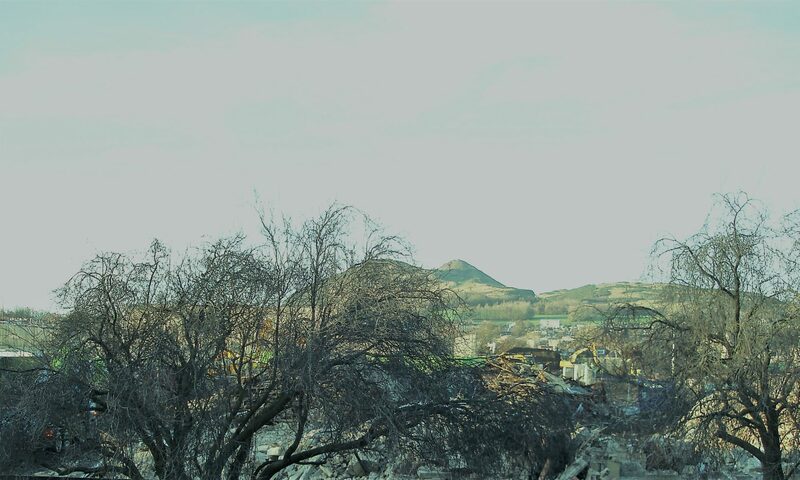 By 9.10 Duddingston Road was almost clear of cars and peace reigned. Inside children were finding that each classroom is furnished differently and distinctively, appropriate to age. Congratulations to Holmes Miller, Architects and Grahams Construction – a fine school right for the way we want to bring up our children. The school will shortly have new leadership, as Barbara Service is leaving from her role as Head Teacher in September. Deputy Head Jaqueline Kelly takes over pending a permanent appointment. 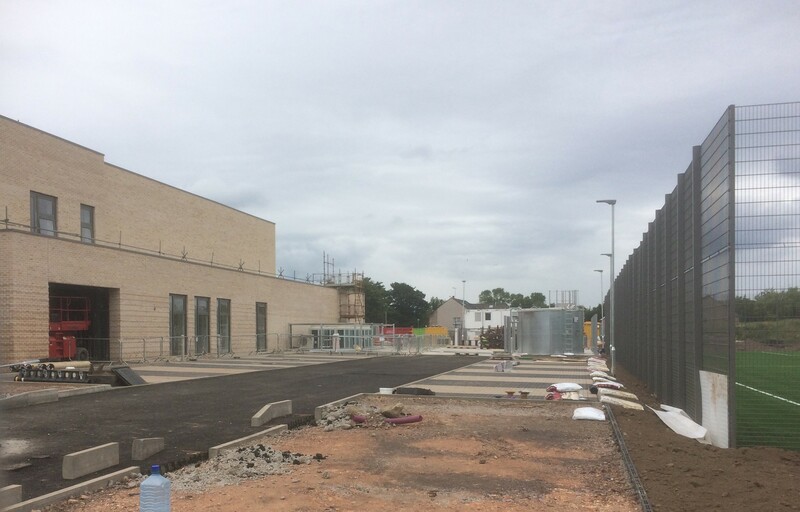 Phase 1 of Treverlen Park is almost complete behind the school and the rear entrance through the Park from Hamilton Drive is open. 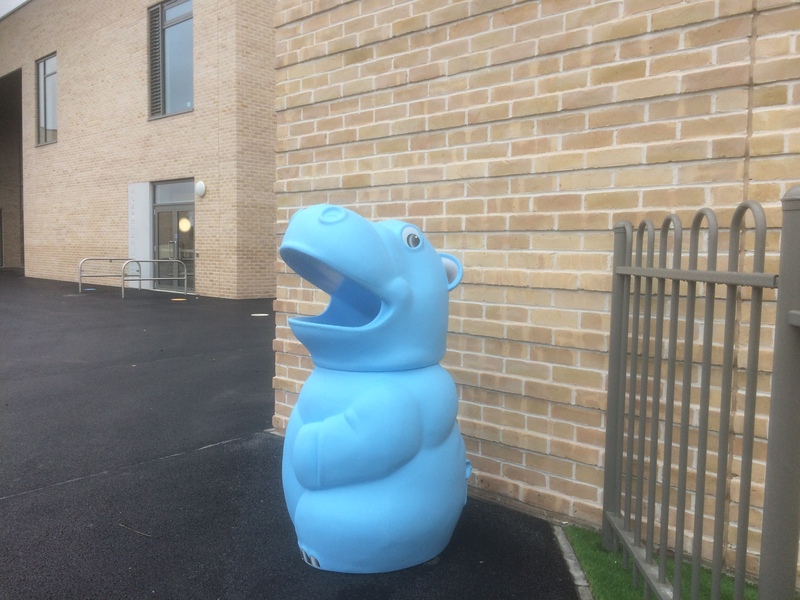 There has been a post and wire fence along the street face of the school for some weeks – not quite what we were expecting. 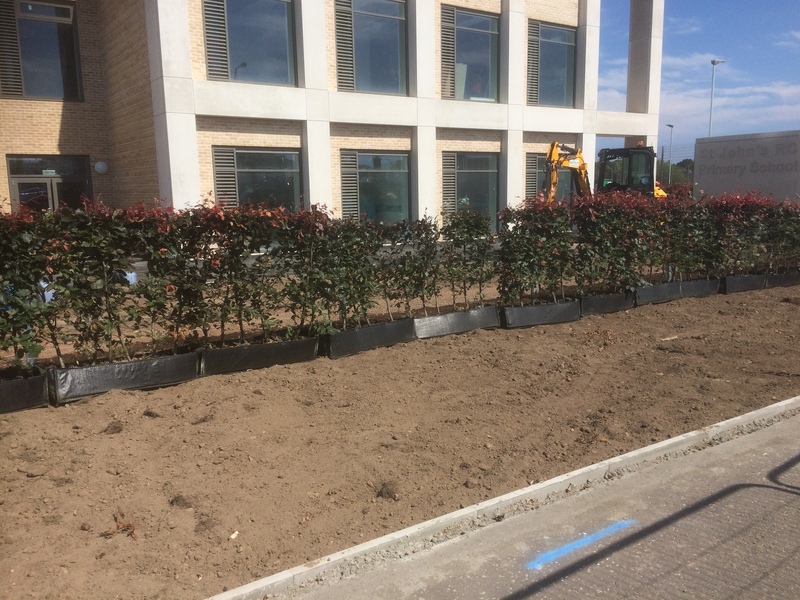 But now plants are arriving – troughs of hedging, already over a metre high, are being planted to hide the post and wire. In other parts of the site lots of planting is underway. This will be a truly green school. Back at old St John’s the climbing frames and ropes have been excavated ready to move to the new school – they are recent additions to old St John’s and worth keeping. Big question – will the teachers be ready in in 3 weeks time to unpack ready to open for business on Monday 20 August? Their new school will definitely be ready and looking great. The road side view is approaching maturity. There is new top soil along the verge and signs of more planting. The new trees put in months ago by the new pitch are prospering. The staff car park is almost complete so the view from the street is almost complete. 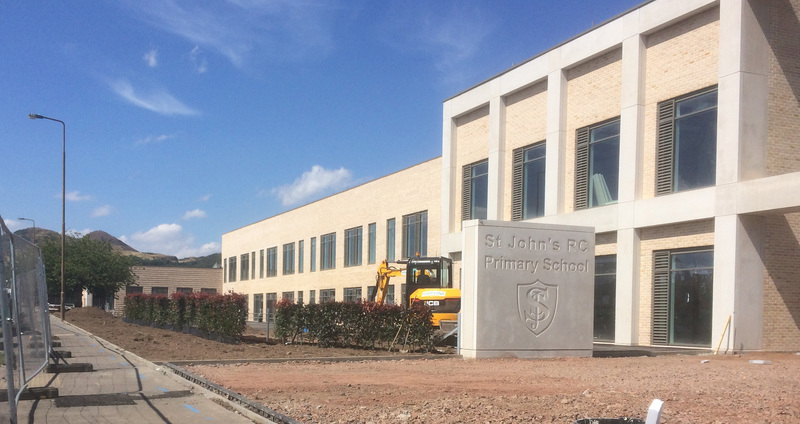 Old St John’s is in a state of limbo – it is not clear what happens if we get to 20 August and the new school is not ready. It might have to re-open until, perhaps half-term, but so far there is no news. The children left old St John’s on Wednesday 27 June and said good bye. It was a quiet end; the school had been winding down for a couple of weeks. 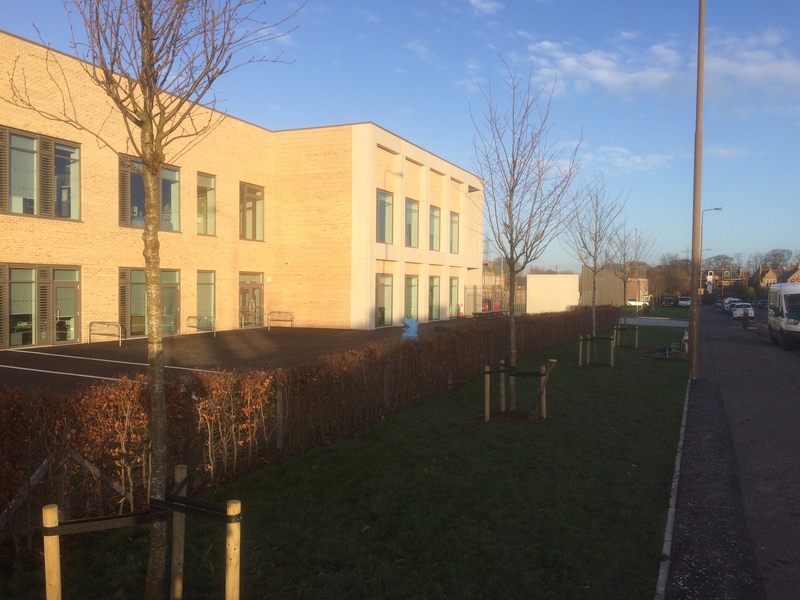 Ms Service announced that she expected to see everyone at 8.50am on Monday 20 August at the new school. Meanwhile, the builders are already working as hard as they can to make that possible. The outside looks almost complete but it is a while since we saw inside – probably like a swan on a pond, gliding serenely while its legs are going at a rare pace. Now the hoarding is down, the quiet dignity of the new building is obvious.